For shipments entering Canada, you will require a Canada Customs Invoice. A Proforma Invoice is required for loads leaving Canada and entering the United States. Other documentation may be required as well. Please ensure you check with your local agency for the most up-to-date information as to shipping requirements. By Cook Inlet RCAC based in Kenai, ARKANSAS (USA). 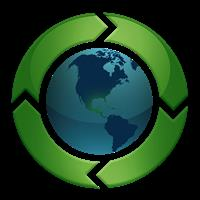 By AmeriFlow Recycling Inc. based in Paramus, NEW JERSEY (USA). Our marine waste management operation provides safe, professional collection, recycling, treatment, storage and disposal services to some of the world’s largest ocean going liners, major shipping companies and ports. By Veolia Environmental Services (UK) based in London, UNITED KINGDOM. By BayWa r.e. renewable energy GmbH based in Munich, GERMANY. By Countryside Survey based in Bailrigg, UNITED KINGDOM. By China Recycling Inspection Service Co.,Ltd based in HangZhou, CHINA. By Thueringen Recycling GmbH based in Bad Langensalza, GERMANY. We cooperate with reliable and competent logistics partners, Europe-wide. By K+S Entsorgung GmbH based in Kassel, GERMANY. By Greentec International based in Cambridge, ONTARIO (CANADA).